Location: Begins at the 1st chakra (Mooladhara) and passes up through the left side of the body, crossing the 6th (Agnya) chakra into the temple and terminating in the right side of the brain. Joy is the predominant quality associated with the left channel (ida nadi), also known as the Moon Channel. The left channel is the channel of our past emotions and memories. It carries the energy of our desires. The left energy channel also influences our sympathetic nervous system responses and helps regulate our emotional functioning. The superego is the moral, analytical component of our unconscious minds that’s governed by the internalized ideals that we acquire from our parents and society. The left channel, begins at the 1st chakra (Mooladhara) and passes up through the left side of the body, crossing the 6th (Agnya) chakra into the temple and terminating in the right side of the brain in the superego area. The superego is the storehouse of all our memories, habits and conditionings. 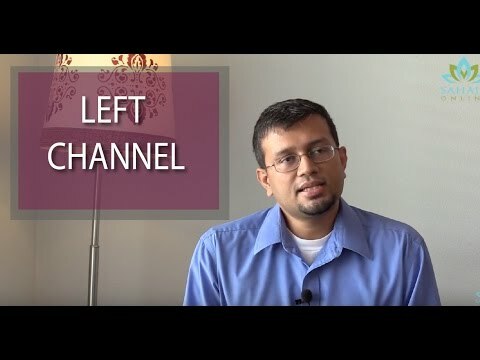 The left channel carries the energy of desire and it correlates to our past experiences — emotions, memories, desires and affections for others. Desires trigger emotions. These desires and the feelings they trigger travel through the left channel to the specific location in the body that will bring about the actions of fulfillment. Desire is essential for action. Without the catalyst of desire, we’d have no motivation to act. The quality of joy associated with the left channel is, ideally, the sheer joy of a child who simply wakes up happy every morning. As adults, our desire for this joy is forever alive inside us, but it may become blocked or “bruised” by the emotional or physical injuries we experience in life. Problems with the left channel tend to result in emotional extremism; for example, swinging between elation and depression. In some, these problems may manifest as lethargy, extreme submissiveness or passivity, and self-obsession. For these people, self-discipline becomes difficult and it becomes harder to correct self-defeating habits. Because the left channel feeds into the skull area, pressure on the brain can become excessive and ultimately even manifest in the form of a mental breakdown, or conditions such as epilepsy and dementia. Once the Self becomes stronger than old memories and conditionings, temptations lose their power over us. In its pure state, the left channel brings about emotional balance and enables us to express the qualities of deep joy, pure love and compassion.